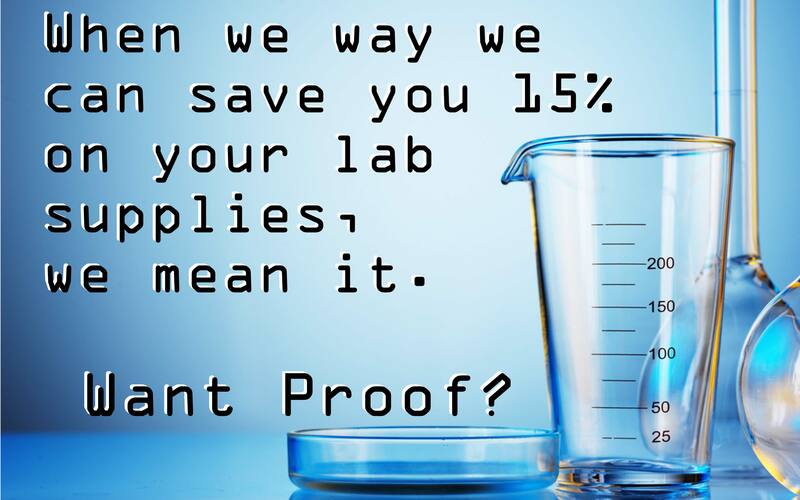 What is Your Strategy to Reduce Lab Supply Costs? Brand Name Lab Items: Worth the Price? Just pick a short list of your most purchased or pain point lab supplies. Shoot us an email with 5-10 items and we will get you a quote ASAP. We will haggle on your behalf and try to find the highest quality options at the best rates. We compare rates from hundreds of vendors with thousands of brands to find the right items are the right price, every time. This is a free and easy service, so what've you got to lose? Contact us today to see just how much money you could be saving!